← Will Smith… Still Awesome. SDSU is in the NBA Finals. Kawhi. He did it. First SDSU player to ever make the NBA Finals. He’s the only reason for a Lakers fan, which I am, to cheer for the Spurs. 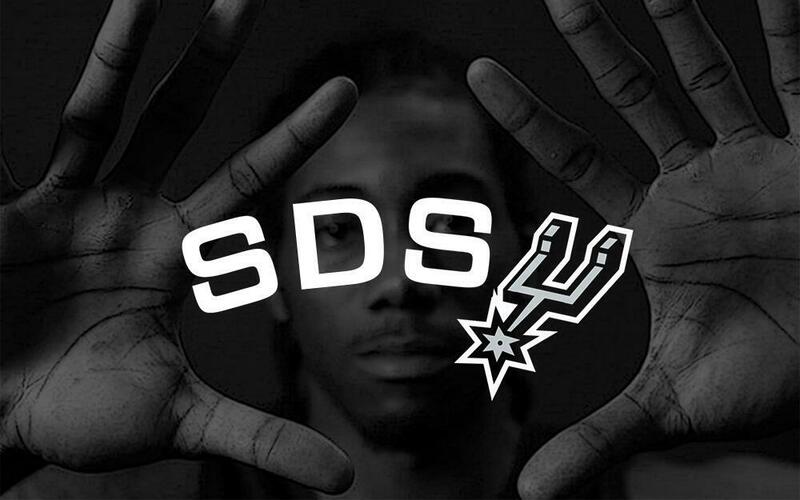 One of the first times we blogged about Kawhi Leonard, Showman dropped a line that still makes me laugh, “He’s averaging 18 points, 10 boards, and two mickey mouse sized hands.” Those hands. Just enormous. Love it. Congrats, Kawhi. This entry was posted in Basketball, NBA and tagged Kawhi Leonard, kawhi leonard sdsu, kawhi leonard spurs, SDSU, sdsu in the nba finals. Bookmark the permalink.